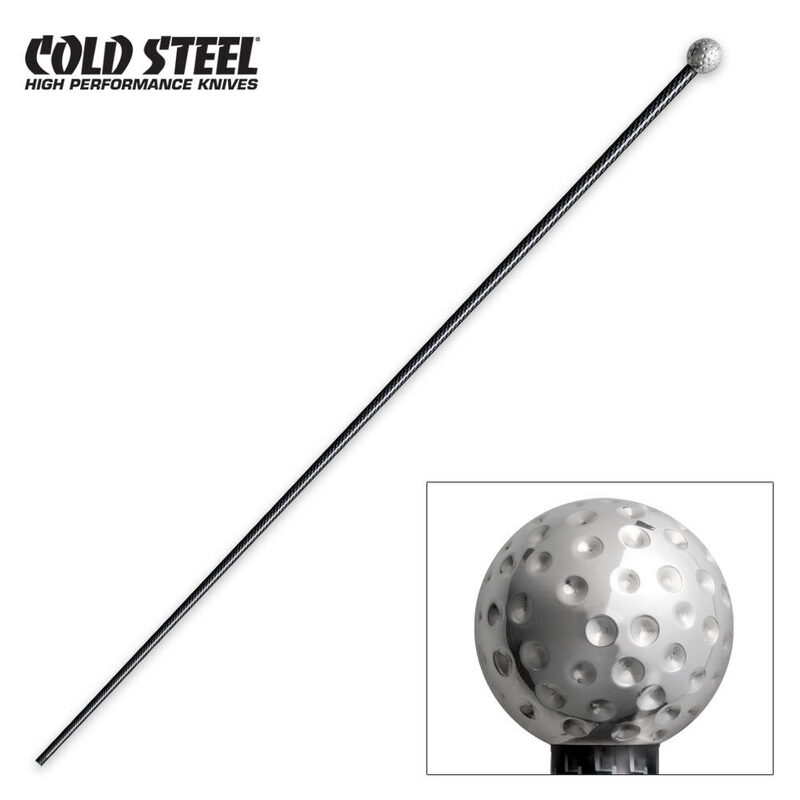 The Cold Steel slim city stick is a new departure in the world of elegant walking sticks. It is light as a feather, but stiff and rigid enough to offer surprisingly good support in even wet weather. A 6061 aluminum dimpled ball acts as the head and the black and silver carbon fiber shaft is both powerful and lightweight. If you are looking for a stick that can be wielded fast and is lightweight, then this is the stick for you. Though this walking cane is marketed primarily as a self-defense item, I bought it solely to use as an ambulatory aid. I couldn't be happier with my purchase. The cane is light as a feather, with minimal inertia, so it's able to keep up a good pace without wearing out my arm or missing a step. The shaft is stiff and strong, able to support enormous weight despite its "soda straw" appearance. The ball is easy to grasp and fits well in the palm when taking on weight. Photos don't do it justice. The carbon fiber embedded in the clear resin has a lot of depth to it, which is very eye-catching. It's a very classy stick, able to go anywhere. Since I'm short, I had to cut the cane to 34.5 inches, which was easy to do with a hacksaw. So don't be afraid to buy this if you don't think you're tall enough to use it. So if you need assistance walking and want something better in every way than one of those ugly canes at the drug store, the Slim City Stick is the absolute best thing going. For use as a proper cane, I can't recommend it more highly.